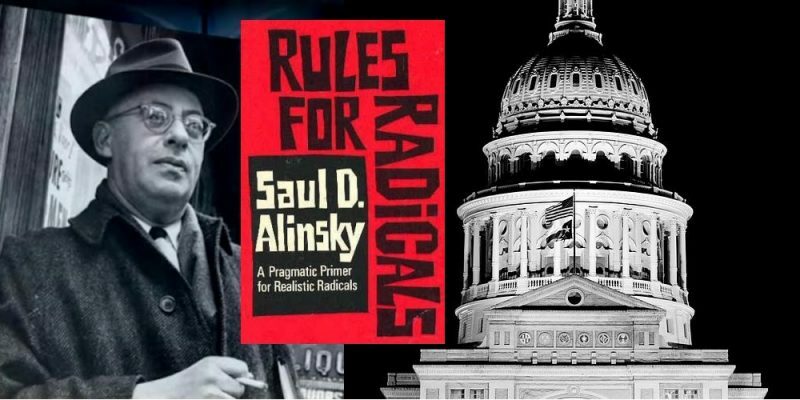 Saul Alinsky‘s specter still haunts the corridors of the Texas Capitol, even a decade after the whistle was blown on government funding of the direct descendants of his radical leftist movement. 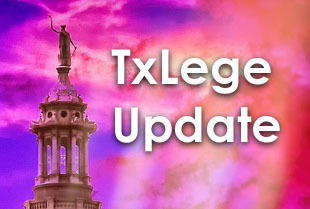 HB 756, by Sen. Chuy Hinojosa, would reinstate non-profit organizations to a list of groups eligible for grants under the JET (Jobs and Education for Texans) Grant Program. It sounds innocent enough: the bill sets some criteria for eligible organizations but does not outright prohibit an Alinksy-ite organization, such as one of the surviving spin-offs of ACORN, from receiving state funds. The bill is set for a public hearing in the Senate Higher Education committee Wednesday. In 2009, the Texas Legislature created the JET Grant Program “to address the growing underinvestment in the Texas workforce for jobs that require more than a high school diploma, but less than a four-year degree.” Originally managed by the Comptroller’s office, JET provided funds to junior colleges and tech institutes (and there are a couple of great bills this session to expand on that aspect of the grant program). In 2013, Republican Comptroller Glenn Hegar and the 83rd Legislature eliminated this practice and moved JET to the Texas Workforce Commission that (arguably) more closely monitors these kinds of programs. Mention the word ACORN around Texas conservatives and you may soon find yourself in a discussion about how deplorable it is for federal taxpayer dollars to support a politically motivated organization. Recent headlines tell of private sector groups such as Catholic Campaign for Human Development and even the U.S. Congress removing funds from ACORN (the Association of Community Organizations for Reform Now) — chronicling the role public funding sometimes plays in bankrolling local organizations with a political agenda. Did the same thing happen in Texas last week? We look below at a particular situation where $700,000 was given to a South Texas group with a similar heritage as ACORN – part of $2.45 million total given to four organizations with a common strategy of leftist activism. About $3.5 million was given to several non-profit organizations on Oct. 20, including one Christian organization, a literacy program, a county workforce training center, and four “community organizing” groups. Among these: Project VIDA (Valley Initiative for Development and Advancement), which received $700,000 from the Texas Comptroller’s JET (Jobs and Education for Texas) fund, which we’ll look at in detail. VIDA is a wing of Valley Interfaith, a coalition of 45 churches and public school groups in the McAllen area, associated with the Industrial Areas Foundation (IAF). VIDA’s stated goal is to set up career training and tuition programs for the unemployed. The program has had about 4,000 participants since 1996, most of whom do not have high school diplomas. Since its inception, VIDA received about $8 million in funds from the federal, state and local government entities and private foundations, and an additional $20 million specifically for training in the Rio Grande Valley. Comptroller Susan Combs, in her 2008 report “Texas Works: Training and Education for all Texans” acknowledged Valley Interfaith’s role in job creation in the Valley. Linda Fernandez, who oversees the JET grant program applications, said VIDA was one of 14 non-profit, 501(c)3 organizations to apply for the fund’s first wave of grants — $5.5 million set aside for career training and scholarships of the $25 million of JET funds allocated by HB 1935 in the 81st legislative session. Applicants, Fernandez said, had to prove that they were capable of achieving “above average” graduation rates among those whom they assisted. Fernandez told LSR there is a strict, binding contract between VIDA and the Comptroller’s office so that the money can go only toward tuition and fee reimbursement, textbook costs, and expenses for weekly job counseling and orientations. The orientations are not held for the purpose of learning about the IAF organizations or related matters, said Myra Caridad García, executive director of Project VIDA. Fernandez said part of the evaluation process for determining who is eligible is conducting a search for any negative coverage in the press about the organization. To the Comptroller office’s credit, LSR could not find much in the way of critical press about Valley Interfaith or VIDA. Most publicity consisted of complimentary articles from Valley area newspapers. In a letter to Combs on Nov. 1, Texas Workforce Commission Chairman Tom Pauken expressed frustration that the State of Texas would give $700,000 to a group with blatant ties to leftist activism. García said VIDA staff and participants attend meetings with local public officials to report on the program and communicate with state and federal leaders. “VIDA holds widespread support among local community colleges, business leaders and public officials,” she said. After a press conference in which Pauken announced that IAF would no longer be calling the shots in how funding from the federal level would be distributed, Pauken received an impromptu accountability session of his own. About 30 IAF activists stormed his hotel. Some intimidating comments preceded a hit piece by liberal columnist Molly Ivins. Pauken assumed IAF’s goal was to replace him as the Reagan administration’s envoy to the Valley. Pauken said he kept his position and that the Ronald Reagan administration was successful in defunding many of IAF’s affiliates across the nation. Alliances between independent-but-related non-profit organizations are the bedrock of IAF, as well as Alinsky’s movement in general. Groups such as ACORN, programs named VIDA, Capital IDEA, IAF, and any number of groups by the name “interfaith” are planted by this particular progressive movement. Their approach is to establish a “third sector” – a hypothetical third wing of the U.S. economy beside the private and public sectors. The Comptroller’s office told LSR that because of strict rules on use of the money there should be no threat of the money going toward political purposes. Pauken said not only is he critical of the grant for VIDA but also the Comptroller giving money for workforce training, period. “I don’t know what the Comptroller’s office is doing anyway in getting involved in job training initiatives when the logical place for such an initiative is the Texas Workforce Commission,” he said. Spelce said the Comptroller will continue to fund successful workforce programs … no matter where its members fall on the political spectrum.